Located in the foothills of the Sierra Nevada in Exeter, Pacific Crest is a progressive equine veterinary practice serving California’s Central San Joaquin Valley. Our PCE Field Services offers clients the highest available care in the region at the convenience of their home or ranch with reduced farm call days to the Tulare, Kings, and Fresno counties. At our Equine Referral Medical and Surgical facility, we deliver exceptional equine medicine, surgery, imaging, wellness and reproductive services. Since our inception in 1998 we have dedicated ourselves to providing outstanding compassionate care for our equine patients while providing education and service to our clients and the community. Our mission is to provide timely, thorough, high quality veterinary service to our patients and clients in the most compassionate, humane, honest, and ethical way. Dr. Douglas Anez is originally from Little Falls, Minnesota. He attained his undergraduate degree in Equine Studies and Animal Science from the University of Minnesota and Colorado State University, and his Doctor of Veterinary Medicine from the University of Minnesota in 1995. Dr. Earnest attended the University of Arizona and completed her Bachelor of Science degree in Animal Sciences and then obtained her Doctorate in Veterinary Medicine from Colorado State University. She is also certified in animal acupuncture through the Medical Acupuncture for Veterinarians, CuraCore. Dr. Earnest is passionate about preventative care, emergency work and performance horse medicine. She loves helping clients keep their horses feeling and performing at their best. Dr. Taryn Holliday grew up on a ranch just outside of Barstow, California. She has owned and competed on horses her entire life. Dr. Holliday attended Colorado State University where she was on the rodeo team and graduated with a Bachelor’s of Science in Microbiology. She then returned to California and attended vet school at Western University of Health Sciences, from which she graduated in May 2018. She is extremely excited to embark on this next portion of her journey here at Pacific Crest Equine. When she isn’s working, Taryn enjoys spending time with her family, friends, and horses Jet, Zeke, and Spark with whom she likes to team rope and barrel race. Dr. Yael Huerta was born and raised in Mexico City. He has always enjoyed being around animals and developed his interest in veterinary medicine in his early childhood. He obtained his degree at the Facultad de Medicina Veterinaria y Zootecnia de la Universidad Nacional Autonomal de Mexico in 2017.Throughout vet school and 1 year at the Medical and Surgical Equine Hospital he developed his interest in equine medicine and surgery. He did a 3-month externship at Milton Equine Hospital in Canada and a 2-month externship at the Reproduction Center of UNAM in Queretaro, Mexico. Dr. Huerta is excited to have come to California for the opportunity to intern with Pacific Crest Equine. In his free time, Dr. Huerta enjoys going for a run, hiking, playing volleyball, and spending with his friends and family. "We have been clients of Pacific Crest for a number of years..I cannot say enough about the Doctors and Staff; the professionalism, knowledge, and compassion are top notch. Less than a week ago, I had to put down my beloved friend, King's Ransom...once again, Pacific Crest came through, and did as much as was humanly possible.....above and beyond...These folks are the best! Especially Dr. Anez and Dr. Holliday. We would not take our equine friends anywhere else...they are the Best!" "Thank you for taking such great care of my horses!!!" "I wouldn't go anywhere else! Best and knowledgeable team you can have for lameness, injuries, or wellness. I recommend them every chance I get." "I was really impressed with the state-of-the-art facility. Clean and very efficient . I just love how each patient had his or her own examining room. Double door opens from the outside and they walk into their own examining room complete with everything you can imagine . I truly felt my horse was in good hands . I was very impressed of how the Vet handled the situation.She told me what it would cost and how to proceed . Answered every question . I felt it was handled very professionally and great compassion for my horse . I will definitely go back there again ." "I was thoroughly impressed with Dr. Anez and his staff when I took my Horse Lucia to get checked for a lame foot he had. He explained the procedure and conclusion well, and with sincere care. The facility is also very nice, clean. I will recommend PCE to Family & Friends and trust them to take good care of my horses while in their care." "Doug is the best vet ever! I can't say enough good things about him and his staff. I've trusted him with all my horses ever since I was a little girl and he has never let me down. I highly recommend his practice, top notch in California!" "Recently, I referred an Arabian mare for an endoscopic examination of the upper respiratory tract, in search of a diagnosis, to a chronic and unilateral nosebleed (epistaxis). Since it was the first time I referred a patient to Pacific Crest Equine, based on a colleague’s recommendation, I decided to accompany the mare and the owner. Although it was a 7 hour round trip, it was a very positive experience. Doctor D. Anez and his team were highly professional, knowledgeable, and very attentive to the well-being of the patient. Both, the client and I, were highly impressed by the full process, from setting up the appointment with an effective and courteous receptionist, to competent animal technicians, in cleaned and well equipped facilities, and most of all for all the veterinary care the mare received during the visit. I will not hesitate to refer more of my clients to Pacific Crest Equine." 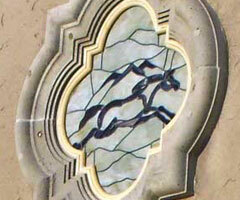 "Pacific Crest Equine offers a unique service to the equestrian community of the Central Valley. They offer quality care never ceasing to compromise any animal's well being. I am so grateful to have Pacific Crest Equine working on my horses. Because of the dedication of Dr. Doug Anez and his team, my horses are always ready for competition! Their free farm calls on Monday to the Fresno area has helped keep this care convenient and regular!" "Compassionate, caring, kind and loving. They always take amazing care of us and our horses. THE BEST AROUND!!" "At Pacific Crest Equine all veterinarians and staff are ROCK stars! They are always available, compassionate and professional. They are willing to educate and provide the best equine medicine to the client that promotes health and prevention ensuring happy horses and owners. We love them and have been clients for 15 years." "Amazing staff. We had a great experience with our horse Coco. Thanks so much for coming out and giving us honest feedback in regards to her condition." "Doug Anez was my horse vet for years and took care of my old grey gelding Raffy until his life ended at 32 years young... Doug was always a great vet and very compassionate and friendly to work with. When he put down my old horse it was a really professional and caring experience overall and I know he treated my friends the Littlejohns with an old horse equally as well and compassionately. Thank you Dr Anez!!! I've known you now over 15 years and really appreciate your clinic." "My first trip there was today, with my yearling colt, Hacker. Mom and I made a road trip with him. The staff and the facility are top notch, best ever!" "Our family can not express how grateful we are to Dr. Anez and his staff!! They take such awesome care of our four legged family members!! Love you guys!!!" "Good people. Awesome facility. Last July they responded at 11:00 PM and worked hard to save my 22 year old mare and now working hard to help my 4 year old. Thank you." "Huge thank you to the ladies, Dr. Wooten and Christie, at Pacific Crest Equine for coming out to do a wellness check on our horse! They were both so kind & helpful. They are amazing! Thanks for all the great advice"
"I'm grateful they came to our community. There always accommodating. Very very happy with the service & staff." "Wonderful group of people who are always knowledgeable and willing to help." "I began using Pacific Crest last year when we found out my Jospeh had lymphoma cancer. While I was gone on deployment for 6 months, Dr. Labadie and her crew came out to give joe check ups/shots even though I was not present and sent me emails on how he was doing. They are so kind and thorough with their job, I am so grateful to have found Pacific Crest. Thank you so much for caring for my Jospeh!"